I recently purchased 5 3rd Edition Raiders and 2 3rd Edition Ravagers off of a friend at my local club. These were some of his first models, and the paint was THICK. I have freed most of the infantry from their acrylic prisons but the raiders I decided to just paint over. But before I could paint them, they needed a little "aesthetic update"
Also, I just noticed this poor gunner only has half a face! All in all a very easy conversion but i'm happy with the final result! I have 3 raiders done so far, but another 3 raiders and 1 ravager to go. What do you guys think? Cohesive enough? Personally, I think the only thing the old Raider needs to look good is the same thing the new models need to look good - a good coat of paint. That said, I don't think they're stylistically cohesive, and I would not mix and match them in the same Kabal/Coven/Cult. 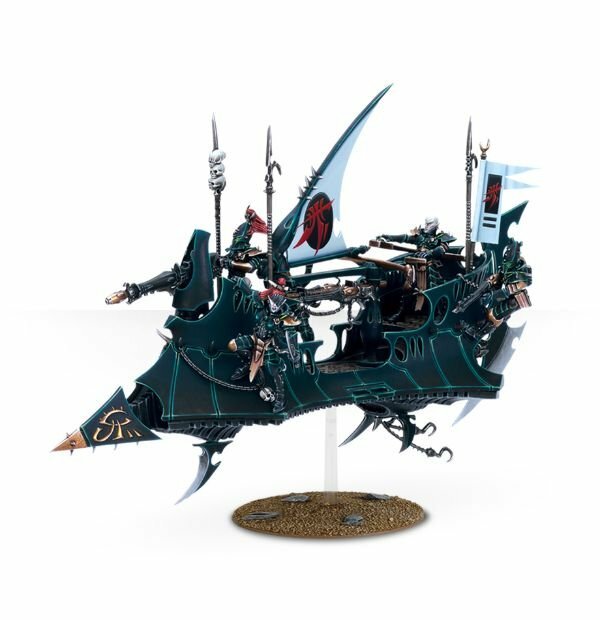 I do like using them in the same army with different subgroups - a Kabal that uses modern raiders, and a Wych Cult that uses the classic ones, for example. That's just my tastes though, of course. Nicely done I would say that the sail brings them much closer to being visually cohesive with the newer ones. I wonder if the only (drastic) thing that could be done to bring them even closer is to smooth down the ridges on the prow so they're a single concave panel (like on the newer Raiders) with maybe some lines scored inbetween.